Description - Daytona is our densest and most plush turf we offer. Featuring a super resilient yet soft matte fiber in pleasing contrasting earthy greens, makes it the perfect choice for any heavy traffic area. With memory fibers and a minimized shine, these artificial turf rolls are certain to be the talk of the neighborhood. Containing no lead or heavy metals makes these rolls great for pets and children. 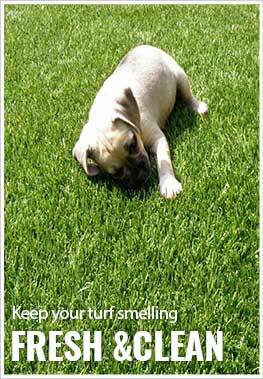 Daytona turf rolls are UV stable and heat/frost resistant and are backed by a 15 year warranty. Face Weight – 92 oz. Weight – .89 Lbs. per square feet. 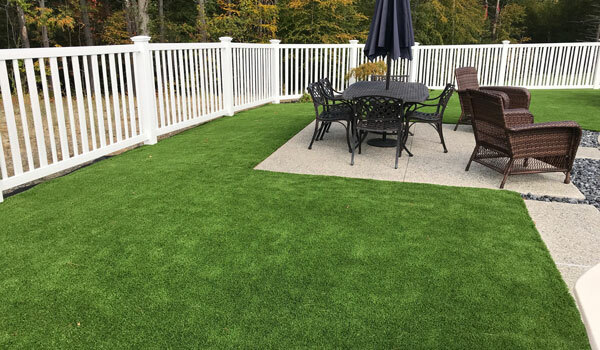 Recommended Uses – Daytona artificial turf is great for any outdoor application and can be found as landscape turf, doggy day care flooring and much more. Features "memory" fiber. Returns to upright position. This featured synthetic grass blade is uniquely shaped for a realistic appearance as well as added durability. 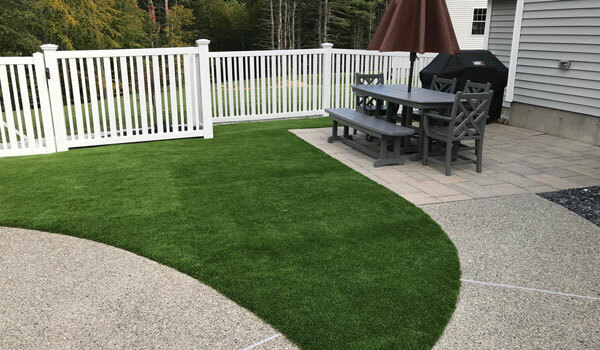 As one of our most popular artificial turf products, Daytona Turf looks and feels realistic with this grass blade shape and is for any landscape that experiences medium to heavy foot traffic. You can install our Daytona Turf Rolls indoors around a whirlpool tub. It can be glued down, and we recommend using our 5900 Series adhesive. 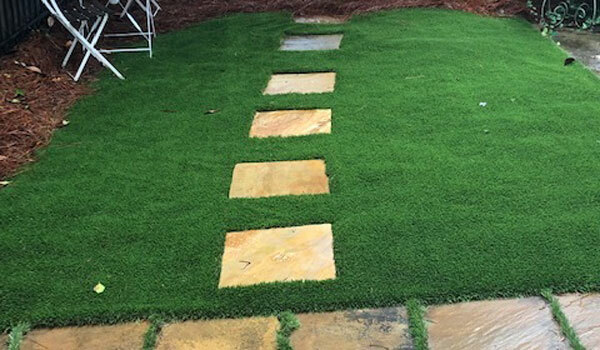 When installing the turf, graining will not matter much since you will want to brush the turf and also add some infill to get the turf to stand up like natural grass, thus hiding the seams. Hi, can this be used for events? We are a company that rent tents for events, and would like to buy a thicker and hight class Turf like this one. Thank you. Our Daytona Turf Rolls are great for high traffic and are perfect as turf for events of all sizes. Can it be used in snowy climates? 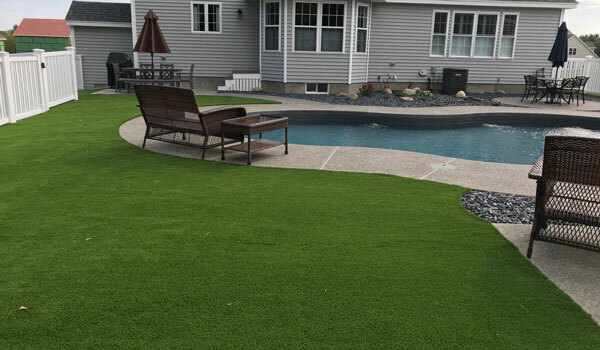 Our Daytona Turf Rolls can be used in both hot and cold climates and is heat and frost resistant. These turf rolls have been installed all over the US and Canada and have performed exceptionally. We are battling with our city about using artificial turf in our yard. Their issues are stating that is is not permeable. The second issue is that it contains metals and zinc that can cause cancer or other illnesses. The third is that at its life expectancy it'll be a landfill hazard. Our Daytona Turf Rolls are very water permeable and has a drain rage of 30 inches of rain per hour per square yard. 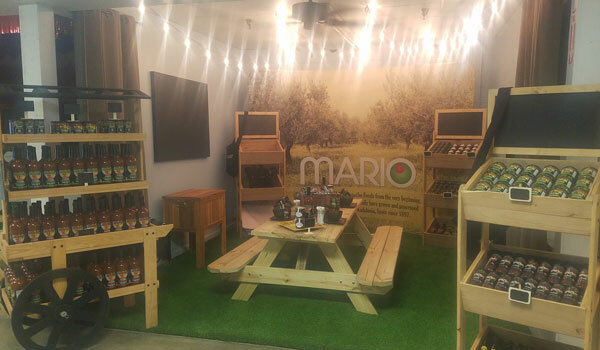 All of our turf is free of any heavy metals or hazardous chemicals, and you can get documentation for this from one of our Flooring Heroes via phone, chat, or email. The warranty on Daytona is 15 years, but under normal conditions, this turf will last as long as you own the property. I couldn't be more pleased with the product. I tend to take my time and research a product before making a purchase. I spent almost a year investigating turf before I made the purchase. I got serval samples from all over the country including Canada and called you multiple times in an attempt to get you to lower the price before I selected Rubber Flooring. My final analysis was your product was the best quality however more expensive. For me, quality won out over price. 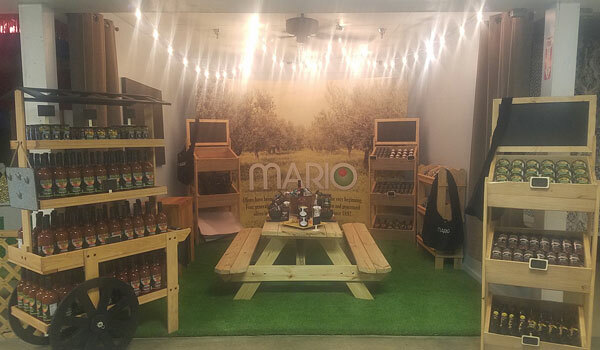 The turf we purchased was used for our 12x12 booth for the Annual Strawberry Festival in Plant City, Florida in which we won 3rd place for best overall Booth Design.